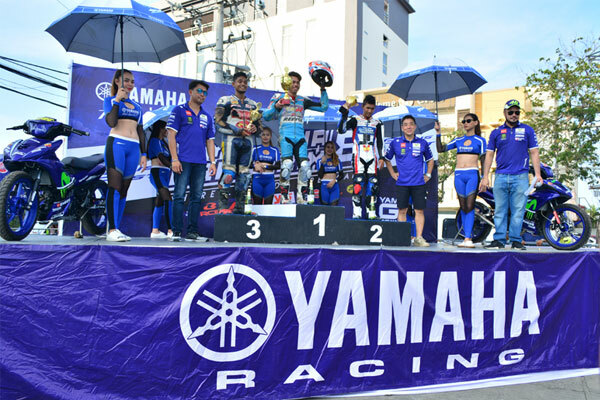 Yamaha Motor Philippines Inc. returned to Davao City to hold its Yamaha Grand Prix competition. After being away for 2 years, the brand was ecstatic to be back in the region and so were their supporters. Everyone was eager to witness racing action that has been away for some time. It’s been a while since the roar of a Yamaha engine was heard and a display of talent by their local heroes was theirs to indulge in. It was a hot day on the track but the competition was sizzling from the start. Preparations began at dawn as every rider geared for the long day ahead going up against the best that Mindanao has to offer. The competition had plenty of action with plenty of challenges for the riders. The track tested the capabilities of the participants with some having tough breaks and costly errors that led to a loss. This gave unprecedented opportunities as well for those who overcame a major setback to recover and regain their bearings. The race also came with emotional triumphs and come from behind victories. After all, this is what the Yamaha Grand Prix is all about, opportunities in every corner. The winners of this Mindanao Leg are now qualified for the Grand Finals which will be held at the Quirino Grand Stand on September 10 where the members of Yamaha Team Pilipinas will be brought together after spectacle of a race.